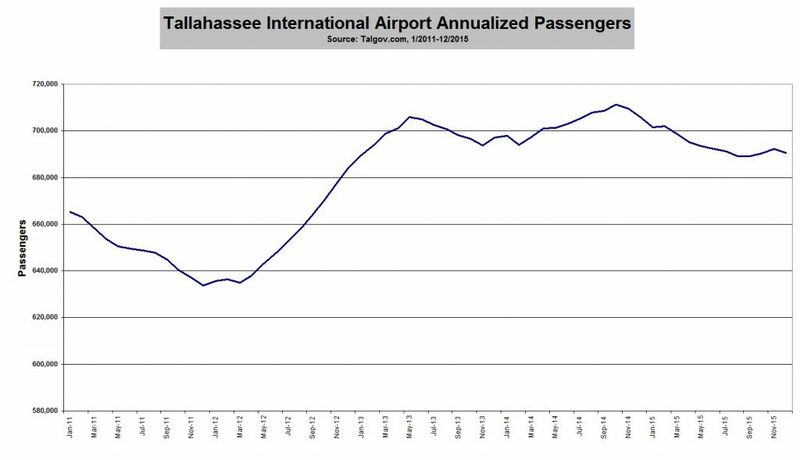 The final numbers for 2015 show that passengers traveling through Tallahassee International Airport (TIA) was down by about 2% from traffic in 2014. The numbers reported for December show a 3% drop from 56,808 passengers in 2014 to 55,047 passengers in 2015. 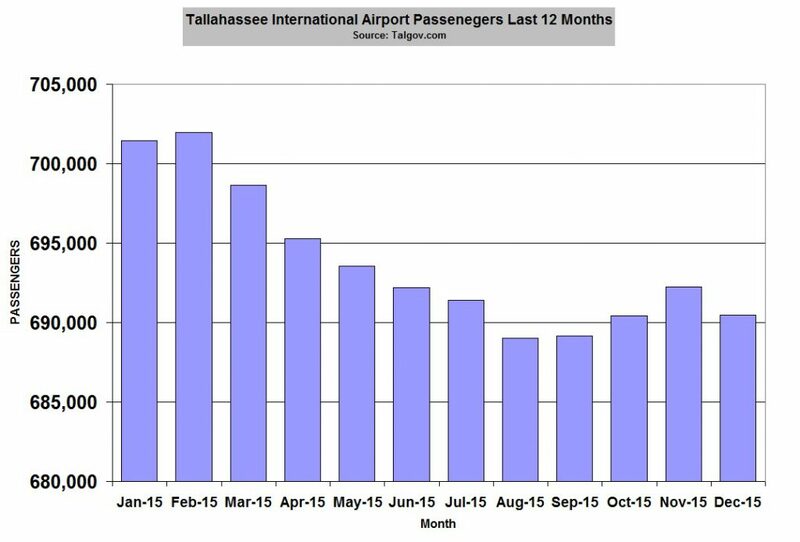 The chart below shows the annualized number of passengers for the each of the 12 months in 2015. Passenger traffic at TIA began to decline in March and did not level out until August. Looking at the fall, September through December, the chart shows a modest increase in traffic that could continue into 2016 because of the legislative session. The graph below shows the 5-year trend of passenger traffic at TIA. This graph shows that passenger traffic began to drastically recover from the recession in 2012 and in hit a post-recession high in May 2013. After May 2013, traffic decreased with a recovery in 2014 to a new post-recession high in October 2014. Since then annualized passenger traffic has slowly trended downward by approximately 3%. 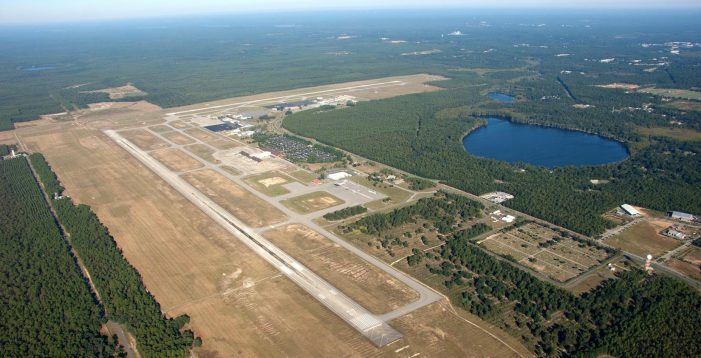 One Response to "Tallahassee International Airport Passenger Traffic Ends 2015 Down"
Been flying in and out of Tallahassee since 1962 and nothing has really changed except the facilities. 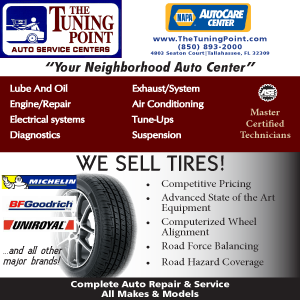 Tallahassee is a destination only terminal (you do not come here unless it is business oriented) , so give up on the thought this will be the connection hub of the south and quit throwing good after bad taxpayer money at the facilities.